If all had gone according to plan, John F. Kennedy and his entourage would have shown up in Austin on the night of November 22, 1963, to attend a $100-a-plate fundraising banquet at Austin’s Municipal Auditorium. In a recently published book, JFK’s Final Hours in Texas, Julian Reed, press secretary for Texas Governor John Connally, notes that hundreds of Texans had already traveled to Austin in anticipation of that night’s festivities when the bad news came from Dallas. Caterers were preparing food; the chairs were set up in the auditorium; decorations were in place. 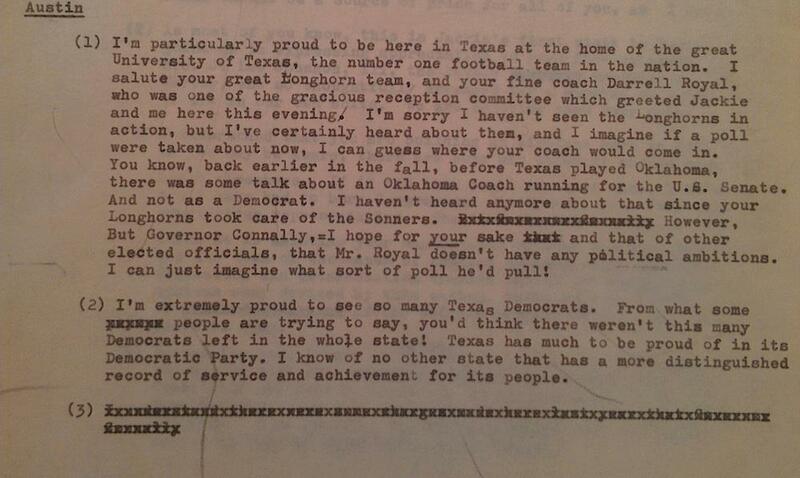 These “Local References” notes, which Connally’s office drew up for Kennedy’s use throughout his trip, show the changing flavor of Texas industry and politics in the early 1960s, reflecting the increased presence of the aerospace industry and the incipient transfer of influence from the Democrats to the GOP. 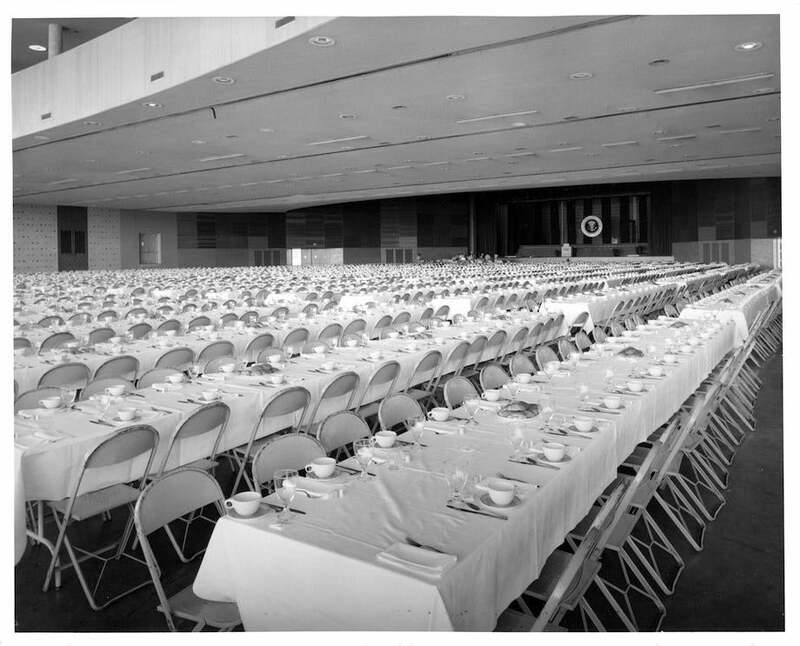 The banquet hall in Austin on November 22, with chairs and tables in place. 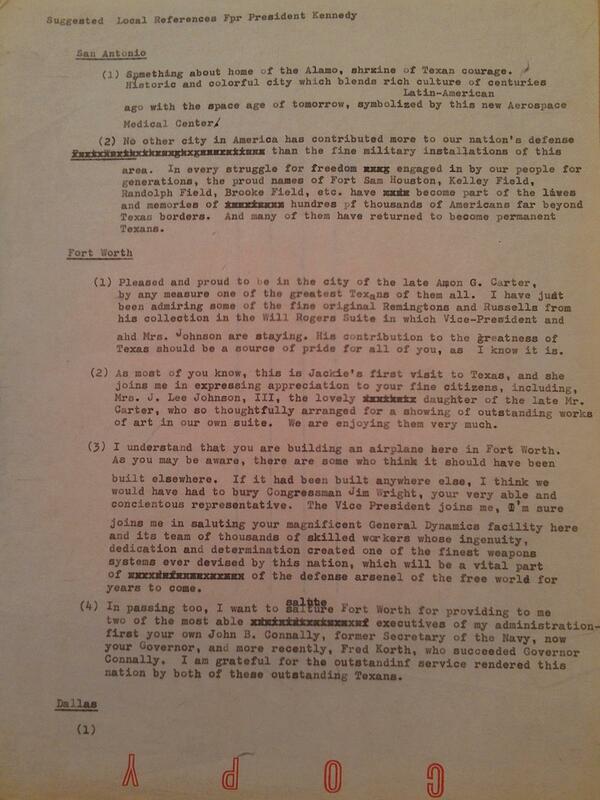 “Local color” notes for JFK, from the office of Julian Read. The Dolph Briscoe Center for American History, University of Texas at Austin.